Last Thursday I appeared on Fox Business News to discuss the Cross-State Air Pollution Rule, the Obama administration’s latest salvo in its war on coal. See the segment here. Truth be told, the Cross-State Rule is probably the least objectionable of this administration’s many anti-energy regulations. The Clean Air Act’s “good neighbor” provision (section 110(a)(2)(D)(i)(I)) requires upwind states to control emissions that affect the ability of downwind states to meet federal air quality regulations. In 1997, and again in 2006, the Environmental Protection Agency tightened air quality standards for ozone and particulate matter. Computer models suggest that emissions from 27 upwind states contribute to violations of these standards in downwind states. If the EPA did not regulate this interstate transport of ozone and particulate matter, downwind states would sue to force the EPA’s hand. According to the EPA’s economic analysis (which is almost assuredly a low-ball), the Cross-State Rule will cost the power industry in the eastern U.S. $6.5 billion through 2014. 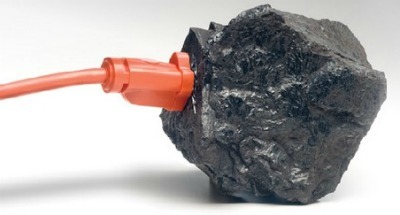 The coal-fired power industry will bear virtually all of these costs. That said, the Cross-State Rule only can be described as “least objectionable” relative to the Obama administration’s other anti-coal regulations. For example, it’s not as bad as destroying the surface coal mining industry in Appalachia in order to protect a bug that lives for a day. Nor is it as egregious as the Utility MACT, one of the most expensive regulations ever, whose primary justification is to protect America’s supposed population of pregnant, subsistence fisherwomen. If, however, the Cross-State Rule is considered on its own, absent a comparison to other policies that are part of the current administration’s war on coal, then it is very objectionable. This is due to the EPA’s seemingly vindictive treatment of Texas. When the EPA issued a proposed Cross-State Rule last August, it found that the Lone Star State did not contribute to downwind violations of federal air quality standards for particulate matter. But in the final Cross-State Rule issued last week, the EPA flip-flopped. It cited new evidence suggesting that Texas does contribute to the non-attainment of particulate matter air quality standards in downwind states. The EPA then proposed a special regulatory regime, unique to Texas, requiring the state to make steep cuts in sulfur dioxide emissions (a precursor of particulate matter). To be precise, the EPA intends to give Texas less than a year to reduce state-wide sulfur dioxide emissions by 47%. That’s curious timing, because the primary sulfur dioxide control technology for coal-fired power plants—known as “scrubbers”—requires about 3 years for installation. The EPA contends that these accelerated reductions can be achieved with fuel switching to low-sulfur coal, at low cost and without much trouble. A bi-partisan group of Texas Congressmen and Congresswomen disagrees, and they have sent letters of concern to both the EPA and the Office of Management and Budget. The late decision to apply the rule to Texas and the modeling for the rule have resulted in wholly unreasonable mandates and unrealistic timelines for Texas. The industry standard timeframe for permitting, constructing and installing major new emissions controls is several years, yet the rule unrealistically requires compliance in six months. Don’t forget, the EPA already removed permitting authority from the TCEQ despite their success. Houston actually achieved full CAA attainment in 2009 before the ozone limit dropped. Air emission regulations in the Texas nonattainment regions are stricter than anywhere in the world outside of California, and the drops in emissions have proved the success. However, the EPA sees only red when dealing with them.